Attractive raised glass top smoked black glass with Anthracite thermofoil surface; white backed clear glass with Medium Cherry thermofoil surface. 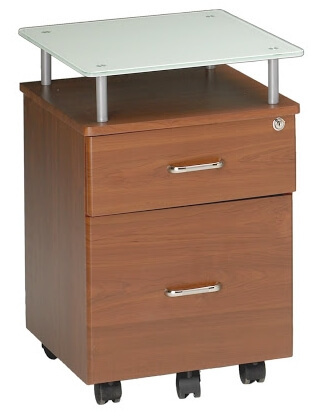 Storage companion for the 972 glass inset top desk. One box and one file drawer. Mobile on 5 casters, 2 locking.